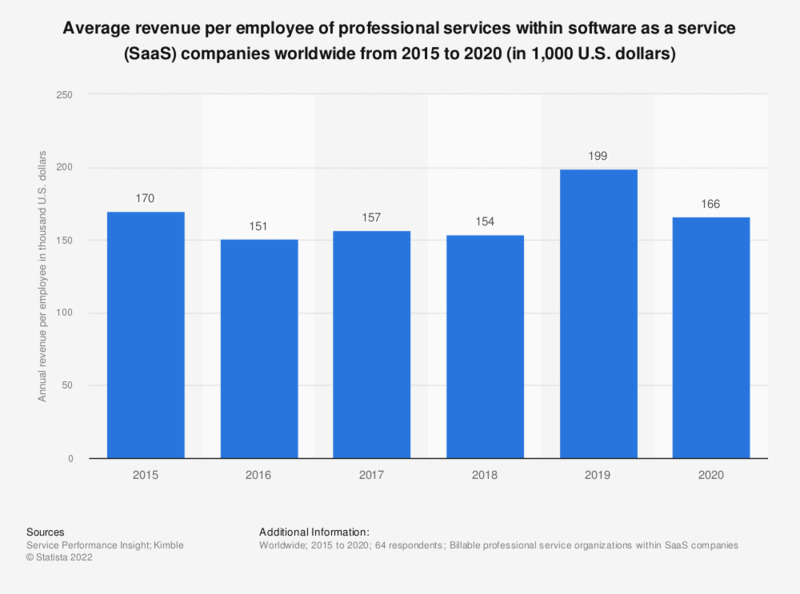 This statistic depicts the average annual revenue per employee of professional services within software as a service (SaaS) companies worldwide between 2015 and 2018. During the 2018 survey, respondents reported an average annual revenue per employee of 154,000 U.S. dollars. Survey method not provided by the source. Figures prior to 2018 were taken from previous surveys.